a small one, because all my dogs live inside the house. I try to do my best for them to be healthy and happy. They like to spend their time in the garden, when the sun is shining and they all love our walks. We live in an old house with big garden, in small village with great surrounding. All my dogs live together inside the house, which is slowly rebuilding for their needs. They have their own couch and of course their beds are in each room. As I work as a website designer and developer, I work from home, so my bulldogs are still with and around me. 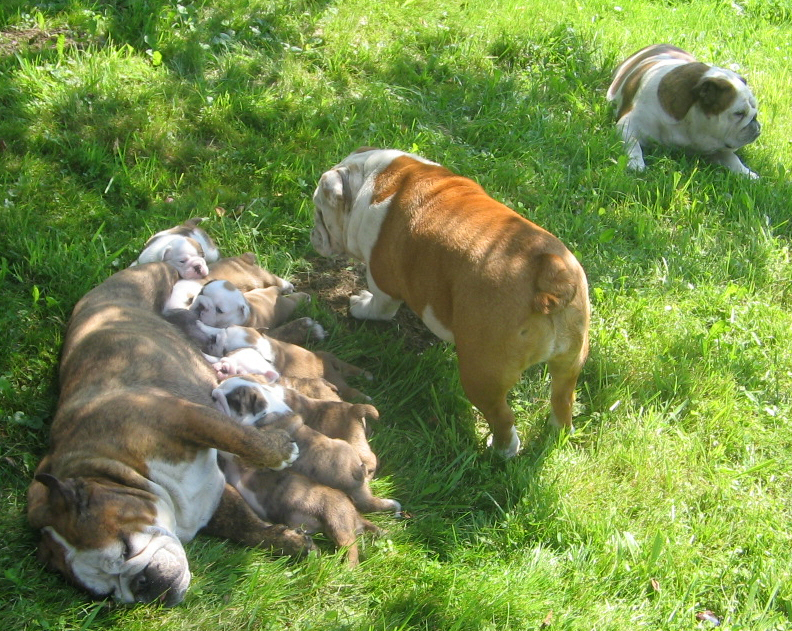 Also puppies, bred in my kennel, are during the day together with all my bulldogs and they enjoy it very much. 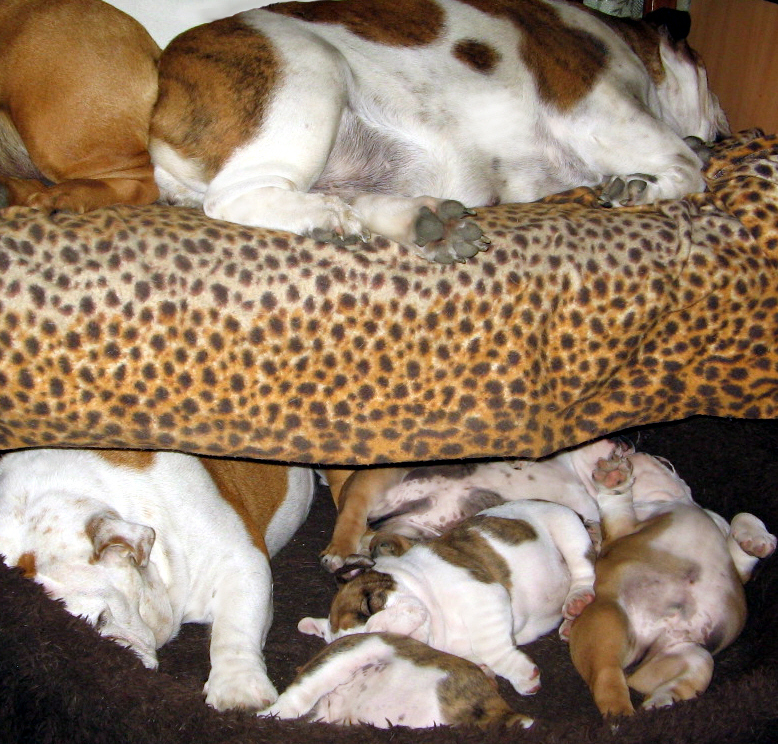 My bulldogs are not used to being kept in cages or to be separated in a special room. 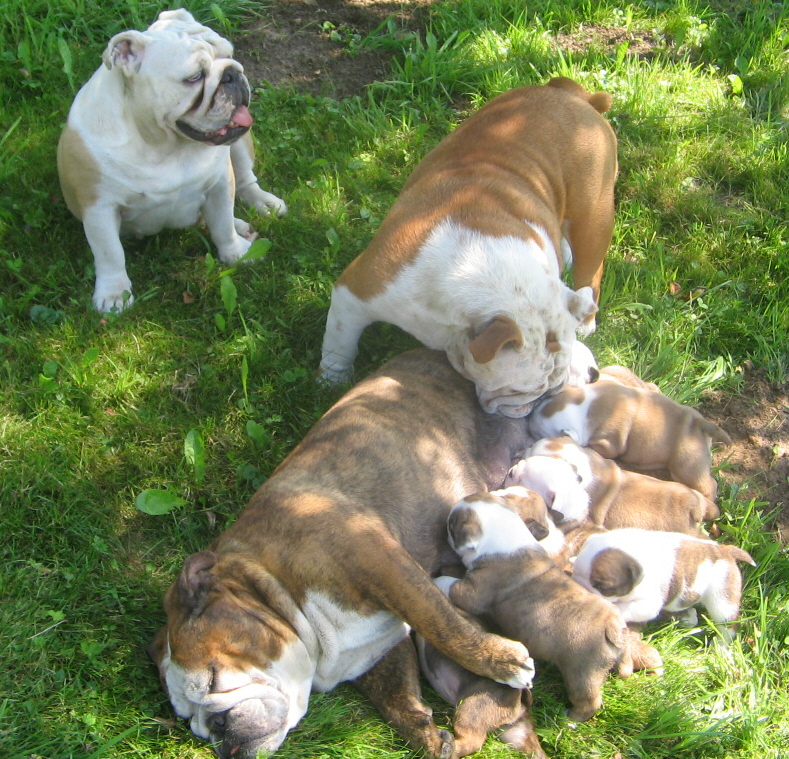 Sometimes there are English Bulldog puppies available for loving families or small kennels . you are visiting the right website!! !